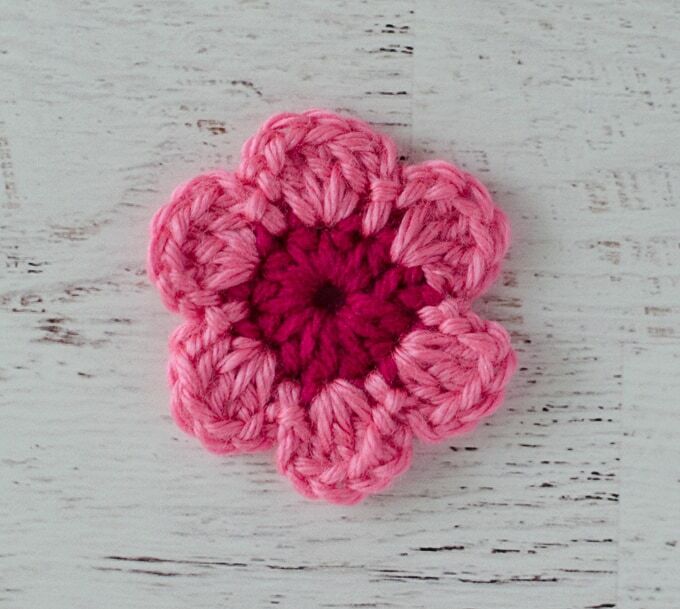 When you need a quick and easy embellishment for a hat or bag, this easy crochet flower pattern is perfect. This is one I designed many years ago and it has graced many a hat, including my favorite winter beanie hat! It comes in 2 sizes so you can pick the one that works best for you! Row 2: Ch 2 (counts as 1st hdc) , hdc 11 times, sl st to top of ch 2 made. Fasten off. (12 hdc). Row 3: Using color 2 yarn, join with slip stitch to top of any sc. Ch 2, 3 dc in same sc, ch 2, sl st next sc. *Ch 2, 3 dc in next sc, ch 2, sl st in next sc* repeat * to * around, joining with slip st in bottom of first st made. Fasten off and weave in ends. Row 2: Ch 3 (counts as 1st dc) , dc 11 times, sl st to top of ch 3 made. Fasten off. (12 dc). Row 3: Using color 2 yarn, join with slip stitch to top of any st. Ch 2, 3 tr in same st, ch 2, sl st next st. *Ch 2, 3 tr in next sc, ch 2, sl st in next sc* repeat * to * around, joining with slip st in bottom of first st made. Fasten off and weave in ends. 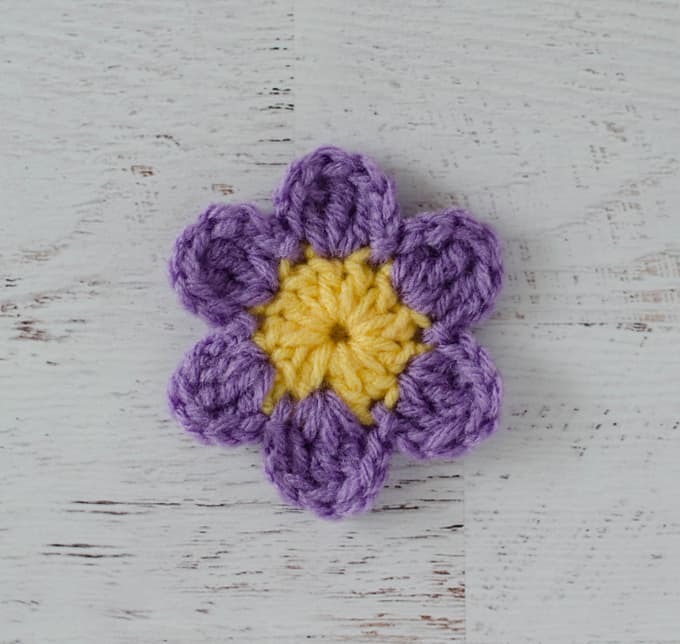 I hope you enjoyed this Quick and Easy Crochet Flower pattern! Cheryl you do wonderful work! Thank you for sharing with us ! Thank you! I’m glad you enjoy them! 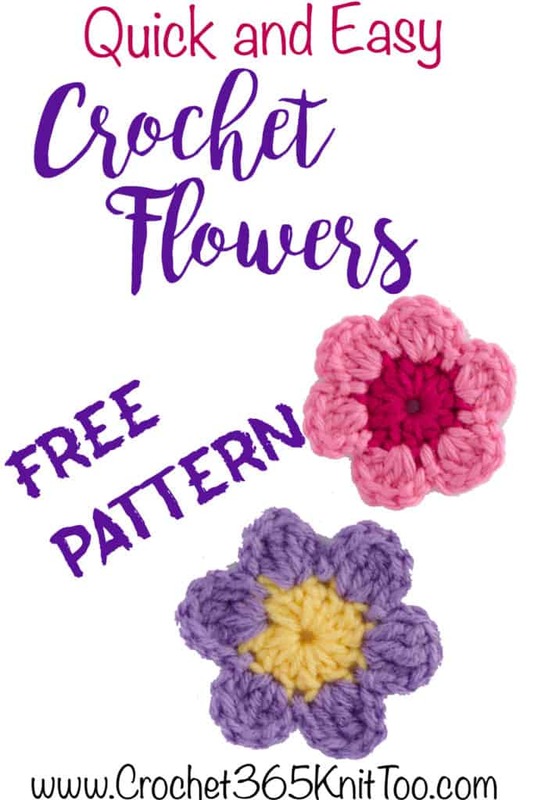 Thanks, Cheryl, for taking the time to share this pattern ! Now you will keep even more feet warm in Canada ! 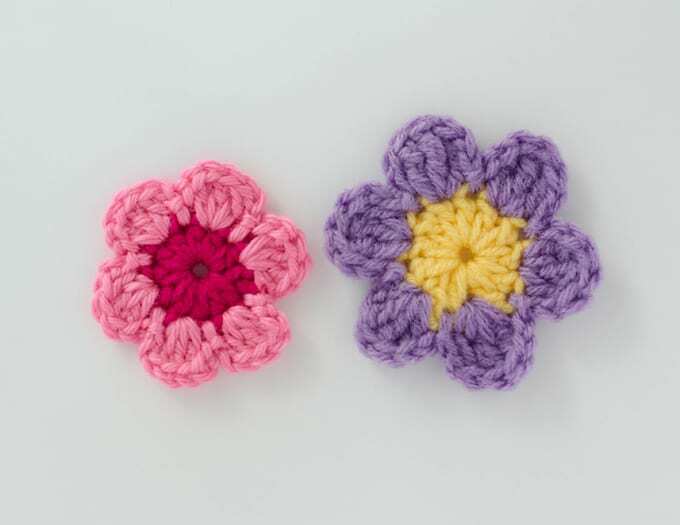 Have a great day and have fun crocheting !